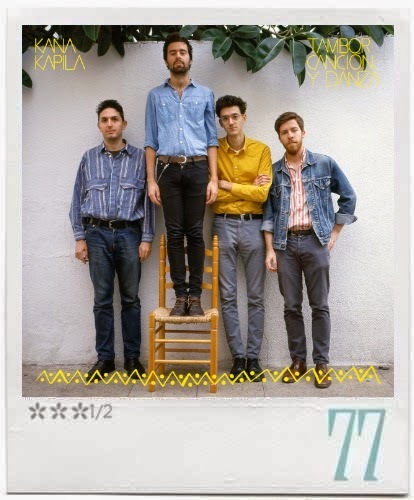 It’s been a long time since we know Kana Kapila and finally, after several demos, split singles (with Los Claveles and with Los Alambres) and an EP (¡RA! ¡RA! ¡RA! 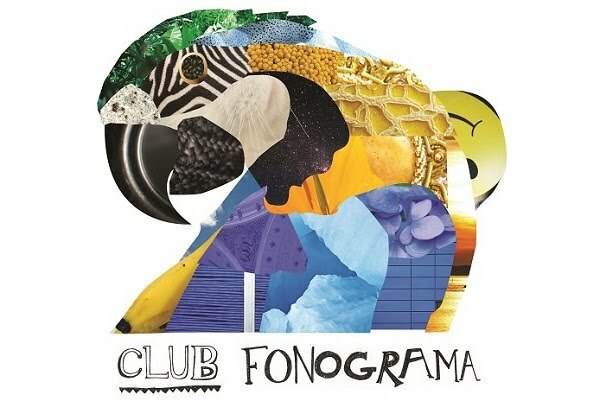 in 2010), here comes their debut LP, released in collaboration by labels Cofradía de la Pirueta, Sonido Muchacho and Discos Walden. The act has acquired a stable quartet formation inducting bass-player Tomeu (from Beach Beach) and experienced musician Germán Carrascosa (who currently leads KK's sister band German Carrascosa y la Alegría del Barrio) to join an all-sustaining formation. They've reached the stability to record an album that shows a very positive evolution from their very lo-fi beginnings –not to have it confused with maturity in the sense of losing freshness.. there's no maturity of that kind on here. I refer to the positive evolution in how they play way better now, and, even if I miss their old raw and sometimes shabby sound, I must say that this album shows a good digestion of that "beach-extravaganza"(and here I'm quoting Carlos Reyes) that related Kana Kapila to the tropical trend in fashion some time ago around Barcelona (Extraperlo, El Guincho, and others). Kana kapila have gone deeper in their search for African references, acting like purist melomaniacs or freaky anthropologists (remember "Merienda de Blancos"? ), mixing them with a clear do-it-yourself spirt that results in a very original "tropical punk" blend, as they call it themselves, which leaves them out of that poppier trend. The title of the album, Tambor, Canción y Danza, is a homage to Nigerian author Amos Tutuola’s book The Palm-Wine Drinkard,, published in 1952, a story about a superstitious drunk man peppered with references to traditional tales in which three men from the forest named Drum, Song and Dance stage a grand performance that draws “the whole people of the new town, the whole people that rose up from the grave, animals, snakes, spirits and other nameless creatures”. There are some other explicit references to this book throughout the album but, in my opinion, we should find the influence of Tutuola’s book in the ability of Kana Kapila matching traditional African rhythms and their unique messy punk musical way. A key aspect of the band’s character remains untouched and those are the lyrics and how they are sung –absolutely free from any meter rule and quite independent of the rhythmical basis. Masked with humor and a somewhat idiosyncratic wittiness, the lyrics dispense bitter bits of truth and some gloomy thoughts about our reality (“Saco de huesos” or “Cuando viva en la calle” are the best examples); other songs like “La gente no entiende nada” are just suitable for singing and ideal to dance to the bouncy melodies. Having said this, I must confess that my favorite tracks in this album are the instrumental numbers, specially “Sabe grave,” but I also love the bass line in “Tengamos la fiesta en paz.” Kana Kapila hits the right chords whether approaching the lyrical or rhythmic fabric of their craft. So be it!